Chapter 17 6 And when the disciples heard it, they fell on their face, and were sore afraid.7 And Jesus came and touched them, and said, Arise, and be not afraid.8 And when they had lifted up their eyes, they saw no man, save Jesus only.9 And as they came down from the mountain, Jesus charged them, saying, Tell the vision to no man, until the Son of man be risen again from the dead.10 And his disciples asked him, saying, Why then say the scribes that Elias must first come?11 And Jesus answered and said unto them, Elias truly shall first come, and restore all things.12 But I say unto you, That Elias is come already, and they knew him not, but have done unto him whatsoever they listed. Likewise shall also the Son of man suffer of them.13 Then the disciples understood that he spake unto them of John the Baptist.14 And when they were come to the multitude, there came to him a certain man, kneeling down to him, and saying,15 Lord, have mercy on my son: for he is lunatick, and sore vexed: for ofttimes he falleth into the fire, and oft into the water.16 And I brought him to thy disciples, and they could not cure him.17 Then Jesus answered and said, O faithless and perverse generation, how long shall I be with you? how long shall I suffer you? bring him hither to me.18 And Jesus rebuked the devil; and he departed out of him: and the child was cured from that very hour.19 Then came the disciples to Jesus apart, and said, Why could not we cast him out?20 And Jesus said unto them, Because of your unbelief: for verily I say unto you, If ye have faith as a grain of mustard seed, ye shall say unto this mountain, Remove hence to yonder place; and it shall remove; and nothing shall be impossible unto you.21 Howbeit this kind goeth not out but by prayer and fasting.22 And while they abode in Galilee, Jesus said unto them, The Son of man shall be betrayed into the hands of men:23 And they shall kill him, and the third day he shall be raised again. And they were exceeding sorry.24 And when they were come to Capernaum, they that received tribute money came to Peter, and said, Doth not your master pay tribute?25 He saith, Yes. And when he was come into the house, Jesus prevented him, saying, What thinkest thou, Simon? of whom do the kings of the earth take custom or tribute? 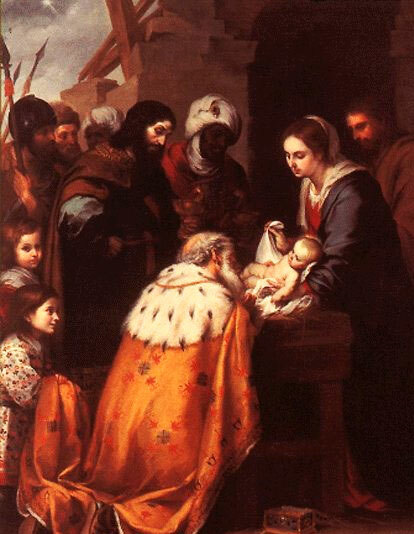 of their own children, or of strangers?26 Peter saith unto him, Of strangers. 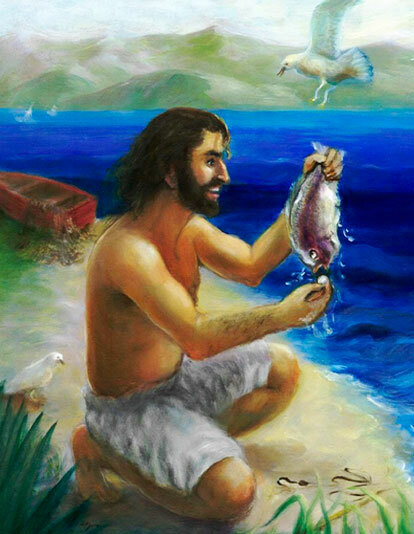 Jesus saith unto him, Then are the children free.27 Notwithstanding, lest we should offend them, go thou to the sea, and cast an hook, and take up the fish that first cometh up; and when thou hast opened his mouth, thou shalt find a piece of money: that take, and give unto them for me and thee. Chapter 18 1 At the same time came the disciples unto Jesus, saying, Who is the greatest in the kingdom of heaven?2 And Jesus called a little child unto him, and set him in the midst of them,3 And said, Verily I say unto you, Except ye be converted, and become as little children, ye shall not enter into the kingdom of heaven.4 Whosoever therefore shall humble himself as this little child, the same is greatest in the kingdom of heaven.5 And whoso shall receive one such little child in my name receiveth me.6 But whoso shall offend one of these little ones which believe in me, it were better for him that a millstone were hanged about his neck, and that he were drowned in the depth of the sea.7 Woe unto the world because of offences! for it must needs be that offences come; but woe to that man by whom the offence cometh!8 Wherefore if thy hand or thy foot offend thee, cut them off, and cast them from thee: it is better for thee to enter into life halt or maimed, rather than having two hands or two feet to be cast into everlasting fire.9 And if thine eye offend thee, pluck it out, and cast it from thee: it is better for thee to enter into life with one eye, rather than having two eyes to be cast into hell fire.10 Take heed that ye despise not one of these little ones; for I say unto you, That in heaven their angels do always behold the face of my Father which is in heaven.11 For the Son of man is come to save that which was lost.